WOW those shoes are amazing! and the peace and love necklace is lovely. I´m a Fashion Designer, I have a blog called The Lovely San, where the main character SAN wears the most showstopper items from this and past seasons; I´d be really glad if you step by, take a few minutes and get into Sanabra´s world. Se you at The Lovely San! I love this look! Very fun! AND, it's not made up of neutral colors! Yay! 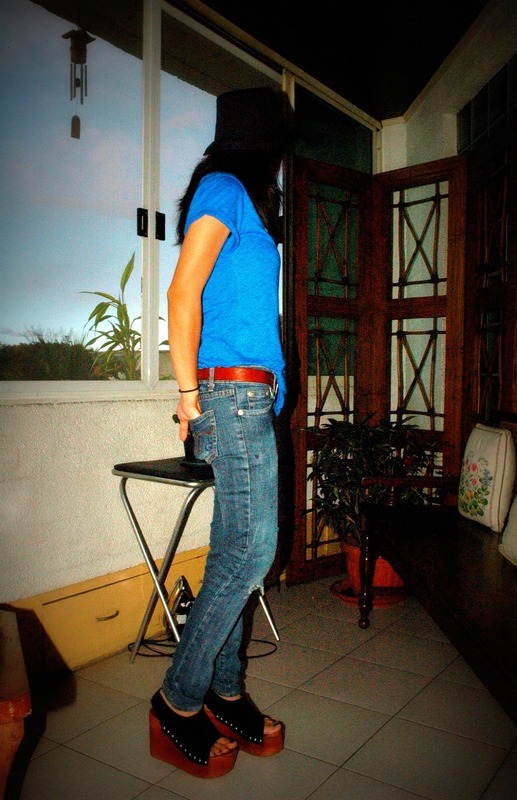 wow shoes ara amazing! and the peace necklace it's just very nice!! hope you'll follow me so i'll do the same! Great outfit. I love it! 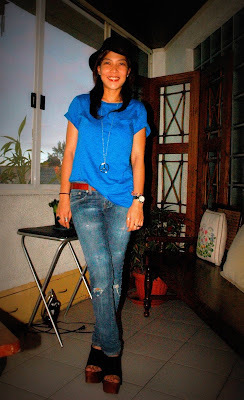 lovely outfit , and lovely blog ! I'm your follower ..... will you follow me ? Want to follow eachother maybe? must say i ADORE your shoes!!! going to check out the givaway right away! Love the jeans! u look so fresh! 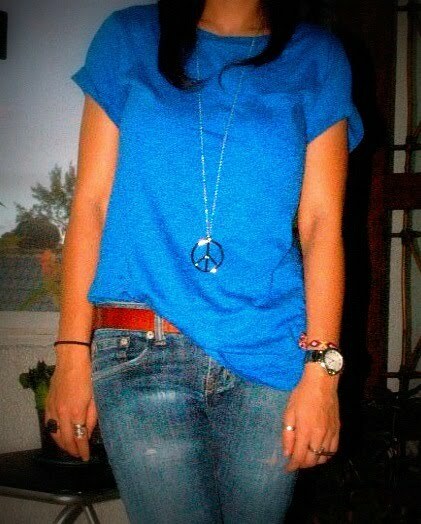 love the outfit and the peace necklace! Your is so cute. I love the vibrant blue tee. I love your peace sign necklace and the way you wore your shirt semi-tucked in. Nice! The shoes! :)) lurve it! You look extremely cute and approachable in this. That blue shirt is great on you. I love the blue in the T. Cool. Love this easy look. 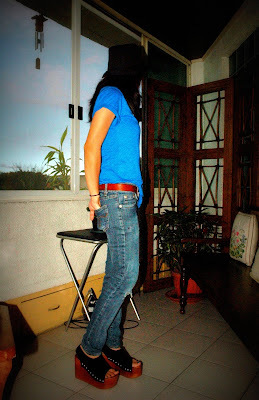 I am a huge jeans person and I am glad to see you rocking yours...also those wedges are awesome! can't go wrong with jeans and a cute tee especially with those rocking' wedges!! Love the color of your t-shirt, so lovely! and the hat is so stylish! you shoes are dead on roooockin!